Swedish hero Johan Kristoffersson starred on the way to his fifth victory of the season in round six of the FIA World Rallycross Championship presented by Monster Energy at the Swecon World RX of Sweden in Holjes. PSRX Volkswagen Sweden’s Kristoffersson claimed his third maximum points score in a row to extend his lead in the World RX Drivers’ Championship as PSRX continues to lead the Teams’ Championship points race. GC Kompetition’s Grosset-Janin was tenth at the intermediate classification, battled through to third place in his semi-final to make it to the final in his Prodrive-built Renault Megane RS. From there the Frenchman went on to be classified third and earn the team’s first podium finish in only its sixth event. Sweden’s Mattias Ekstrom finished third on track in the final but was given a penalty for ‘pushing and overtaking’ Team Peugeot Total’s Timmy Hansen on the last lap – Hansen retiring with just two corners to go. Ekstrom was classified sixth. Kevin Hansen also started the final but didn’t make it beyond the second lap. France’s Sebastien Loeb finished fourth in semi-final one ahead of Team STARD’s Janis Baumanis and GRX Taneco’s Niclas Gronholm. 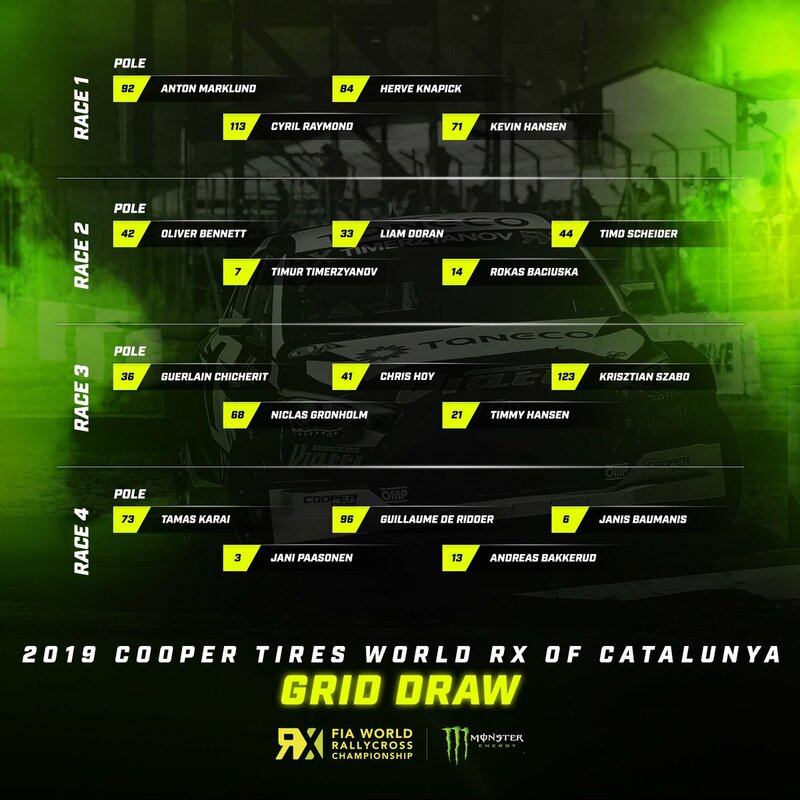 His team mate, Timur Timerzyanov, had his best event of the season but was like Niclas was slowed by a puncture and finished fourth in semi-final two. Norway’s Petter Solberg retired from the lead of semi-final two with technical problems and Olsbergs MSE’s Robin Larsson was classified sixth. The third round of the FIA European Rallycross Championship for Supercar was won by Championship leader Reinis Nitiss to increase his lead in the standings. Norway’s Thomas Bryntesson scored his best result of the season in second and Sweden’s Lukas Walfridsson was third. Belgium’s Guillaume De Ridder became the first double-winner of the 2018 RX2 International Series presented by Cooper Tires by claiming victory at Holjes. Norway’s Henrik Krogstad and Sweden’s Simon Olofsson finished second and third after a dramatic last lap of the final, to make it three nationalities on the podium. The first FIA rallycross Champion of the season was crowned in the final round of the FIA European Rallycross Championship for TouringCar. Norway’s Fredrik Magnussen won the race but second place was enough for Sivert Svardal to win the Championship in his maiden international season by one point ahead of Magnussen. Kenneth Johansson finished third to make it an all-Norwegian podium.